I decided to venture into the bustling center of Washington D.C. one lazy afternoon (during the lull in traffic) to experience the Smithsonian National Portrait Gallery. The gallery, which is housed in the recently renovated former U.S. Patent Office, is an impressive marble structure set among otherwise inauspicious office buildings. 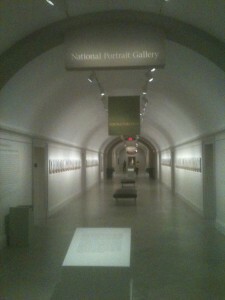 As I walked the marbled corridors of the National Portrait Gallery, I was reminded of Washington D.C.’s unique place in the art world. The gallery hosts a permanent collection of famous portraits ranging from Founding Fathers, to Civil War veterans, to 20th century icons. It was amazing to view a type of historical narrative through the narrowed lens of portraiture. These portraits tell the story of America through its artists, writers, politicians, inventors, tycoons, abolitionists, all fabulously rendered. A few portraits of note include an enormous painting of rapper LL Cool J, a bizarre video portrait of Beat poet Allen Ginsberg murmuring and playing finger cymbals; and an eerily lifelike sculpted bust of John D. Rockefeller. Among the gallery were several unique exhibits, including, “In Vibrant Color,” a series of vintage photographs, originally black and white, now brought to full color using modern techniques. Portraits include, Lucille Ball, W.C. Fields, and Roy Rogers, among others. I have never seen 1930’s, ‘40’s and ‘50’s figures so vividly represented, as if they had been photographed with today’s cameras in breathtaking detail. 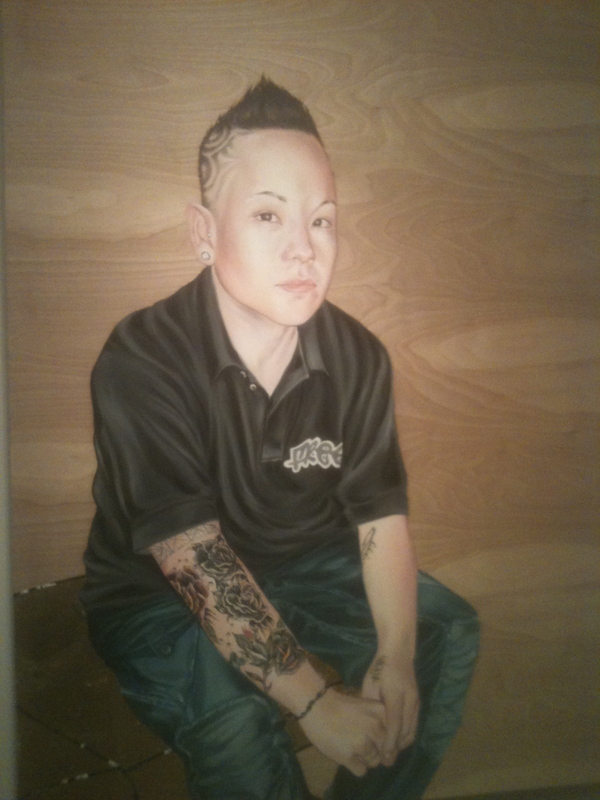 Another featured exhibit was the “Asian American Portraits of Encounter,” a collection exploring Asian American identity. One of the artists, Hye Yeon Nam, in her work titled, “Walking, Drinking, Eating, and Sitting,” filmed herself performing the various functions the title suggests. She incorporated rigged props to humorously illustrate her awkwardness with her environment and society. When visiting the National Portrait Gallery, I recommend making a day of it. The doors open at 11:30 and there is plenty to see. Plan ahead for traffic and congested city parking conditions. The building is split between the National Portrait Gallery and American Art Museum, and as with all Smithsonian museums, they are always free.